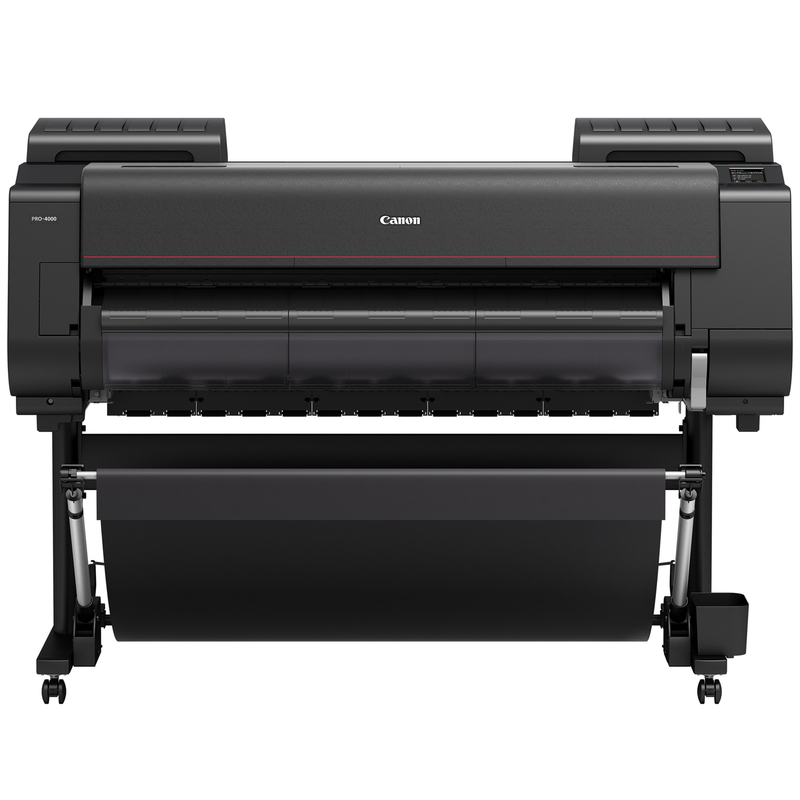 Canon Large Format printers are ink-based devices that can be characterized by their ability to print on rolls of paper media of 8" to 60" wide. Whether your need be fine art photographic prints, banners and signage, or schematics and industrial plotter prints, we have your solution. Printers ship with starter inks totaling up to $1,450 in value. 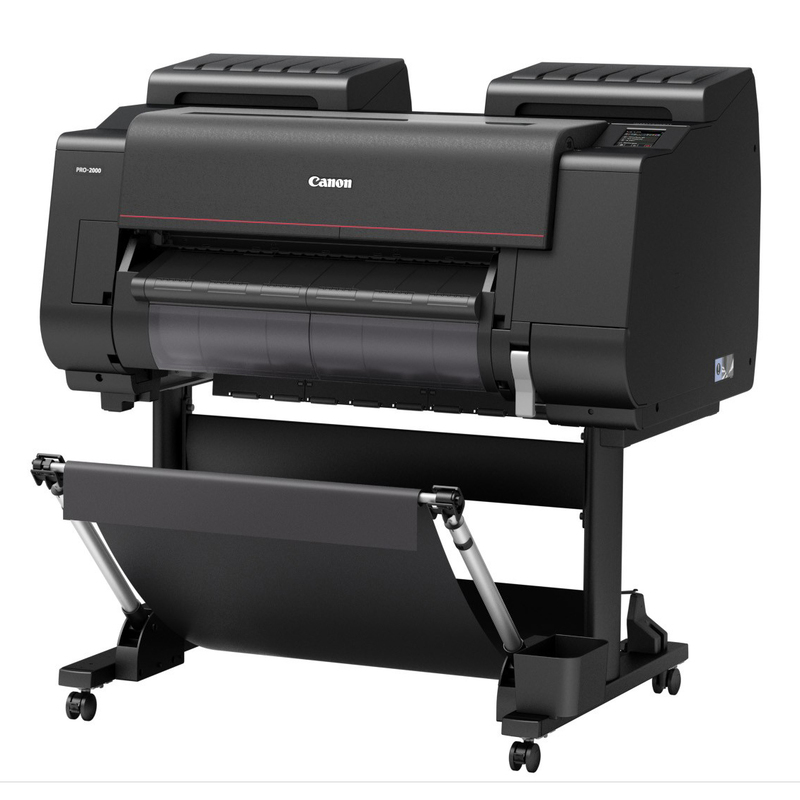 The Canon Pro-1000 is an entry level professional large-format printer. 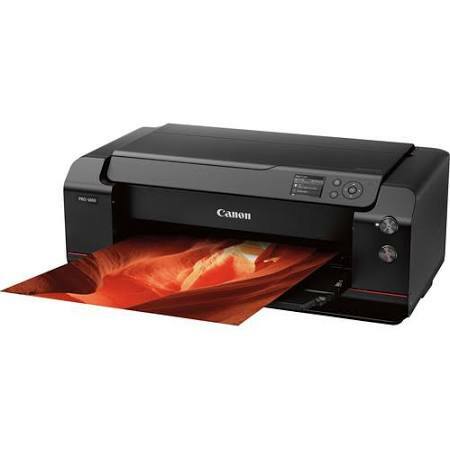 It prints on sheets of paper up to 17" x 22" inches in size. This printer does not support paper rolls. The Pro-1000 ships with 12 ink tanks of 80mL, a $720 value. Supports borderless printing. 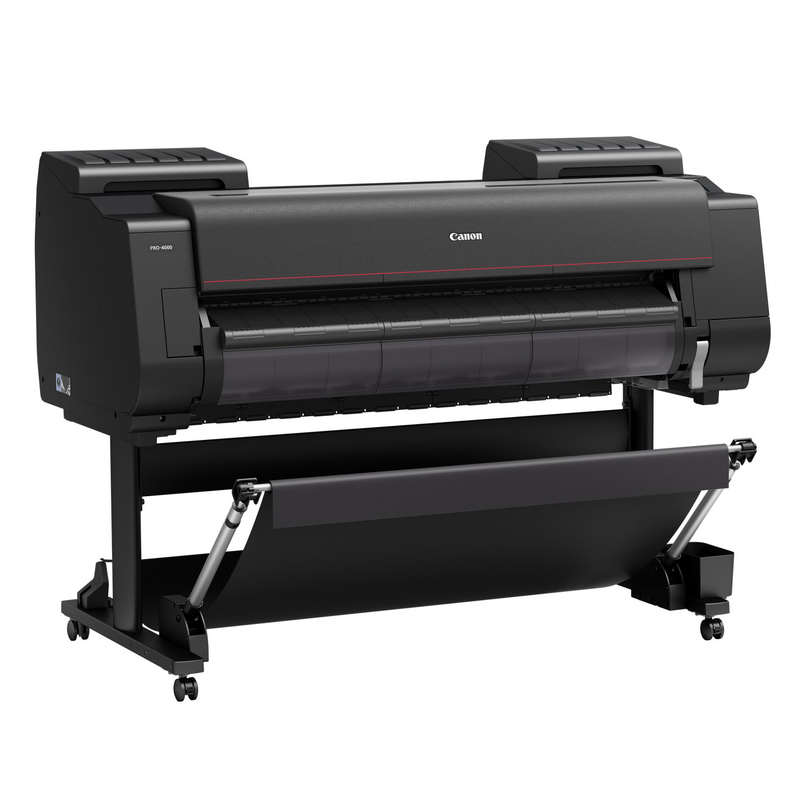 A powerful 24"-inch wide, roll-fed, 12-color large-format printer that takes ink tanks up to 700mL in size. Comes with stand and starter inks ($1,150 in value). 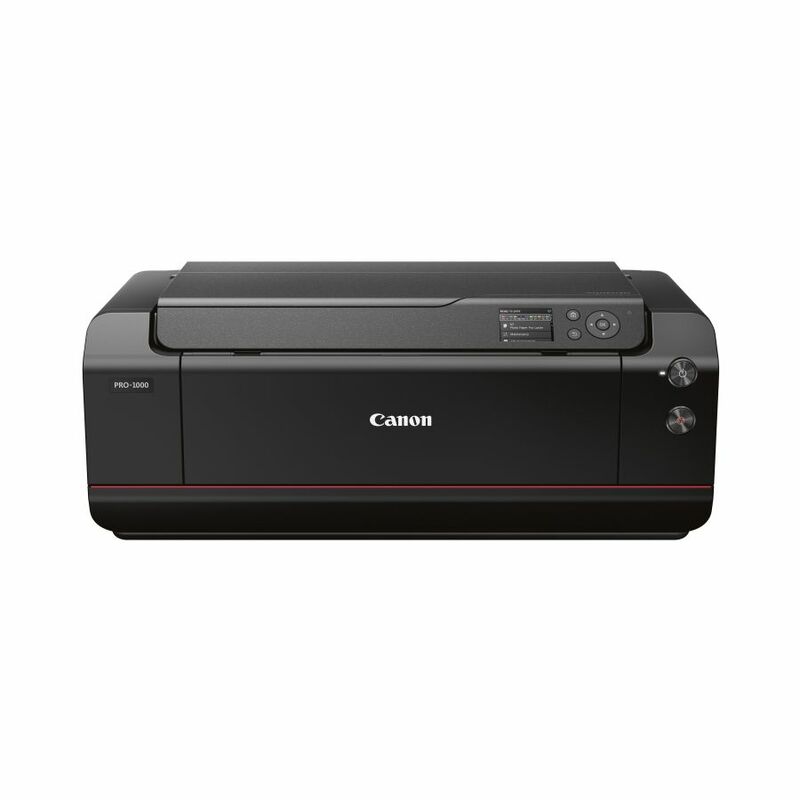 Supports wifi, borderless printing, and can handle a wide variety of media materials. With a full 44" inches of borderless printing space, posters and banners really start to come to life. The Pro-4000 is a fine-art 12-color device that comes with 190mL starter inks, totaling $1,450 in value. The Pro-4000S is a signage focused device, with an 8-color ink system that ships with a combination of (4) 330mL starter inks and (4) 190mL. 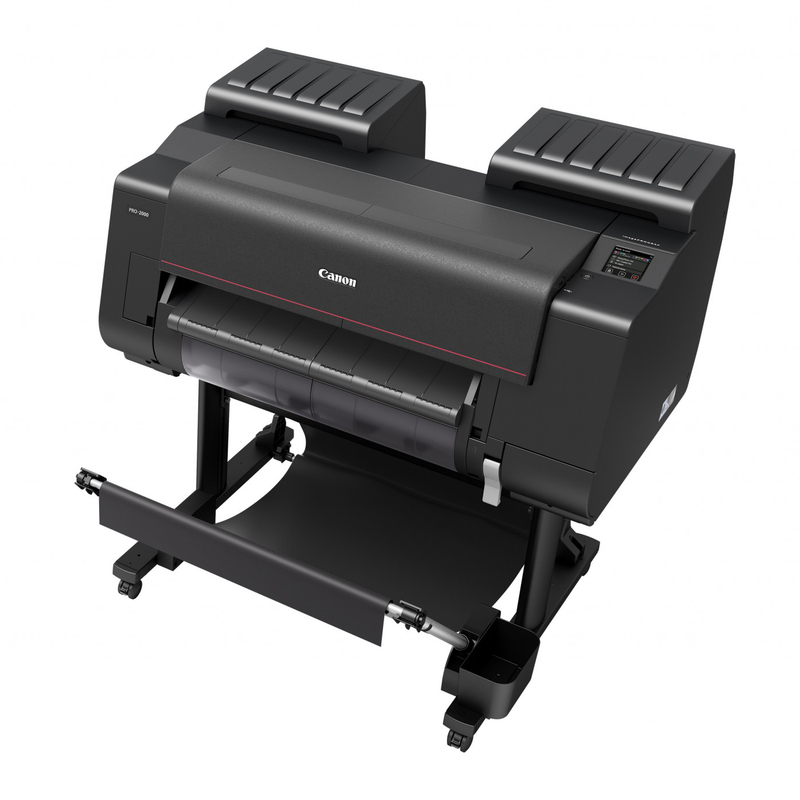 Both support wifi, a multi-roll unit addon, borderless printing, and can handle a wide variety of media materials.